I’ve just uploaded my review of Lev Grossman’s The Magician King, which appeared in Saturday’s Sydney Morning Herald to my Writing page, but if you can’t be bothered clicking through I’ve attached the text below. 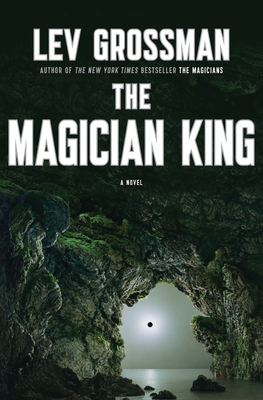 To sum up in a sentence, it’s brilliant: funny, addictive and ferociously intelligent, and if you haven’t read it or its prequel, The Magicians, you should do so immediately. You might also want to check my partner, Mardi McConnochie’s piece about it over at her blog, Big Red. You’ll be glad you did. And if you’d like to read more about Grossman and his books, you can visit his website. I am convinced. Thank you for this smart, thoughtful review. Immediately bought The Magicians based on this review — sounds great. I really loved it, and so has everybody I’ve foisted it on over last year or two, so hopefully you both will too.